What’s causing the holdup in REDD+ results-based finance? The fourth voluntary meeting of focal points for reducing emissions from deforestation and forest degradation (REDD+) was held this past May in Bonn, Germany. These informal meetings are part of a four-year process instated under the Warsaw Framework on REDD+. The first part of the meeting (and the focus of this article) relates to the current status of the two major financing processes related to REDD+, namely the Green Climate Fund (GCF) and the World Bank’s Forest Carbon Partnership Facility (FCPF). The country that will hold the COP23 Presidency, Fiji, opened the meeting. Its delegates emphasized the importance of land use efforts as essential climate change actions, and the fact that more than 100 Nationally Determined Contributions (NDCs) mention REDD+. 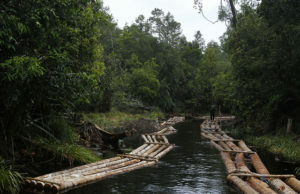 Yet representatives pointed out that REDD+ progress is now facing technical, implementation and financial challenges. The Fijian delegation emphasized the need to enhance non-carbon benefits and mentioned that they are looking forward to supporting the growth of REDD+ as the incoming presidency. The nominated GCF Board Member and REDD+ champion Tosi Mpanu Mpanu of the Democratic Republic of the Congo (DRC) gave the first presentation of the meeting during which he outlined the work done on operationalizing results-based payments (RBPs) — including a consultation and submissions process. A technical expert workshop on this subject was held in Bali, Indonesia, this past April and was attended by representatives of civil society, indigenous peoples, countries and other REDD+ experts. It is expected that the GCF Request for Payments (RFP) will be put before the board at its 17th meeting this July. However, it was mentioned by Mpanu Mpanu that the ultimate outcome on RBPs may occur across two board meetings. It was announced in Bonn that the summary of the Expert Meeting in Bali was currently with the GCF Board co-chairs and should be released soon. 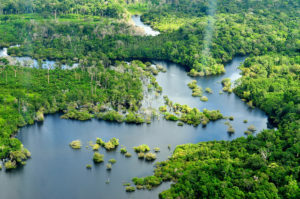 Read more: Can REDD+ help Brazil roll back rising deforestation rates? The GCF Secretariat then took the floor and went into more substance related to the RFP to be presented to the board. It stated that countries will need to ensure that all requirements under the United Nations Framework Convention on Climate Change (UNFCCC) are met; that access to RBPs will be made via accredited entities; that proposals will need to be endorsed by the country-level National Designated Authority; and that once assessed through an internal due diligence process, a decision will be made by the GCF Board. The GCF Secretariat announced during the meeting that the task now is to identify where there are areas of convergence and divergence. As a next step, the board will need to decide on a ‘scorecard’, as well as what it will look like and what will be included in it. It would be fair to estimate that the GCF decisions will be made by late 2017, or early 2018. The RFP will probably be issued in early 2018, with concept notes and ‘scoring’ done by mid-to-late 2018. Full proposals should be made to the GCF sometime during late 2018 or early 2019, with a board decision taken during mid- to late-2019, and agreements and contracts negotiated with countries finalized in late 2019 or in 2020. GCF results-based payments are unlikely to be received by countries in this first round until closer to 2020. The World Bank then presented their Forest Carbon Partnership Facility (FCPF) and its own results-based payments model. The bank representative made the point that countries have been spending much time on readiness, but are now beginning to put more emphasis on implementation at scale and on the ground. The bank is also hoping to commence the signing of agreements with countries during 2017, and pointed out that there is difficulty in engagement of the private sector. The World Bank pointed out that there are emerging partnerships in its work with the International Civil Aviation Organization (ICAO) and the GCF. When the floor was opened up to participants, the first intervention was made by a representative from the Indigenous Peoples (IPs) Caucus asking that the GCF ensure inclusion of tenure, Non Carbon Benefits (NCBs) and safeguards in the RBP Policy, as well as clarification on the process from here. Thailand then asked the GCF to explain how long the process to make results-based payments would take, and what the strategy is to ensure there is adequate funding for all countries. The GCF Board member replied by informing that not all countries are ready to receive results-based payments and this upcoming RFP would be the first, but not the last. He assured countries that the funds would be available in subsequent calls for proposals and urged countries not to rush through the technical assessments and to take their time and come to the GCF for results-based payments when they have all the requirements in place and are ready. Indigenous Peoples asked the World Bank how it is aligning its FCPF with the UNFCCC REDD+ process, including the Cancun Safeguards. The World Bank responded by saying that the FCPF and the UNFCCC operate in a parallel space, and in some ways, the World Bank is ahead of discussions in the UNFCCC. The representatives accepted that there might however, be some areas that they need to look at more closely, without providing any specifics. Brazil then asked the World Bank the nature and objective of the collaboration with ICAO. The World Bank answered that ICAO approached them to provide an update on their discussions. The FCPF is further discussing the matter at the upcoming meetings and made the effort to clarify that this exchange has been ‘only’ information sharing up until now. No representative from ICAO was present at the meeting. A representative of Papua New Guinea (PNG) in a later presentation expressed some concern that the ICAO methodologies may differ to those of the UNFCCC and expressed a preference to the UNFCCC methodologies, urging those to watch the ICAO negotiations carefully. The PNG representative also expressed disappointment that ICAO was not present and urged their engagement in future meetings. The Nature Conservancy in their presentation expressed a view that ICAO may have a very significant demand for REDD+ offsets. Brazil also asked the World Bank as to when payments would be made from the Carbon Fund. The World Bank informed the room that only signatures are expected this year, and there will need to be a process of verification and that payments would take another one to two years. Indonesia then asked the World Bank how the FCFP would contribute to countries’ NDCs. The World Bank informed the Indonesian delegate that it had left the door open to discuss NDCs further with countries and that there are currently 19 countries who have signed a letter of intent, several of whom have raised this issue. Thailand asked the World Bank whether there are sufficient funds in the FCPF to support all 54 countries that are currently in the readiness program. The World Bank confirmed that the readiness fund will close in 2020, and that there is not enough funding to go towards all the readiness of all countries, which is a matter that needs to be addressed. DRC expressed concern at the slow rate of readiness finance and expressed the need to bring together the fragmented funding streams. The World Bank responded to this point by raising the complexities of bringing the funding streams together, but expressed interest in hearing from countries as to how their lives could be made easier. REDD+ has been negotiated at the UNFCCC since around 2005, with the Warsaw Framework finally completed in 2015. Since that time, many countries have undertaken a major effort to implement new policies, meet donor requirements and jump the hurdles being put in front of them. There may be a light emerging at the end of this long tunnel, but a number of issues are yet to be finalized in these finance-related processes. Clarity is, however, emerging that results-based finance and payments from the FCPF and the GCF are not likely to be seen until at least 2019 or 2020. By Stephen Leonard, originally published at CIFOR’s Forests News. For more information on this topic, please contact Stephen Leonard at [email protected].